Provide comfort for the family of Antonio Rodriguez with a meaningful gesture of sympathy. 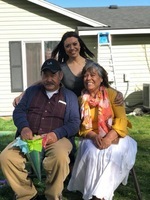 Antonio M Rodriguez, 64, of Ephrata, WA passed away at Central Washington Hospital on Tuesday, February 5, 2019. Holy rosary and visitation will be at 6:00 P.M. on Monday, February 11, 2019 at Scharbach's Columbia Funeral Chapel, Quincy, WA. Scharbach's Columbia Funeral Chapel is assisting the family with arrangements. To send flowers in memory of Antonio M Rodriguez, please visit our Heartfelt Sympathies Store. Provide comfort for the family of Antonio M Rodriguez by sending flowers. We send our love and deepest condolences to all your family in the loss of your beloved one. May you all be blessed with the comfort of family and friends, encouragIng words, and share many wonderful memories with one another..God bless you all. 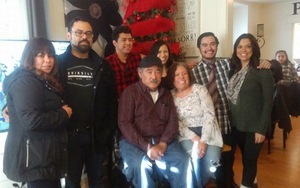 Much love ....from Uncle Robert, Aunt Debbie, and your cousins Vee, Carlos &family.. I'm so sorry for your loss my thoughts and prayers are with you and your family ! !